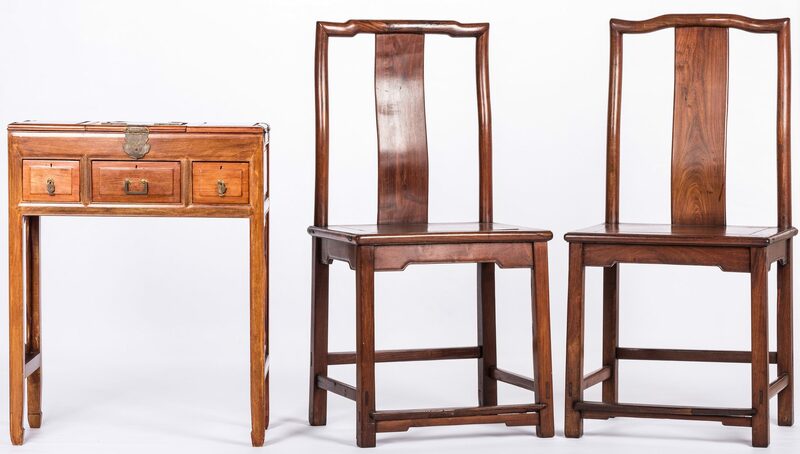 Three (3) Chinese furniture items, table and chairs. 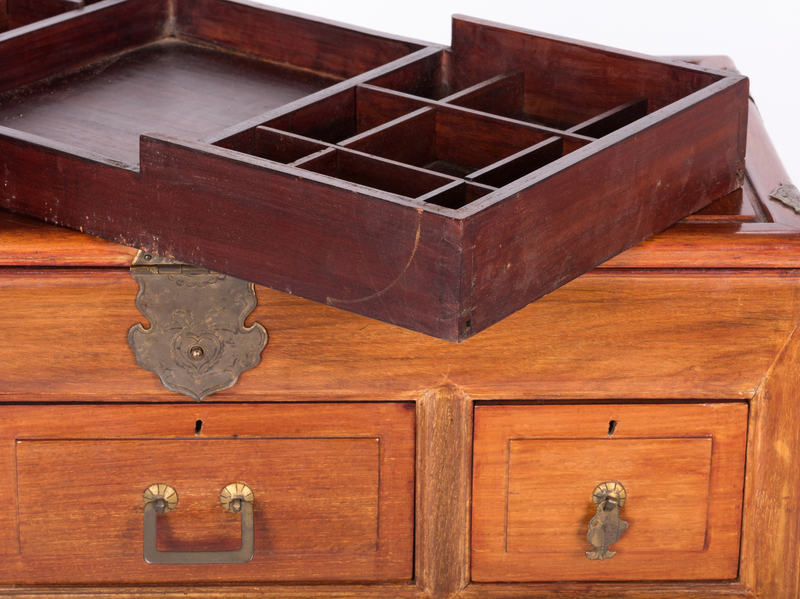 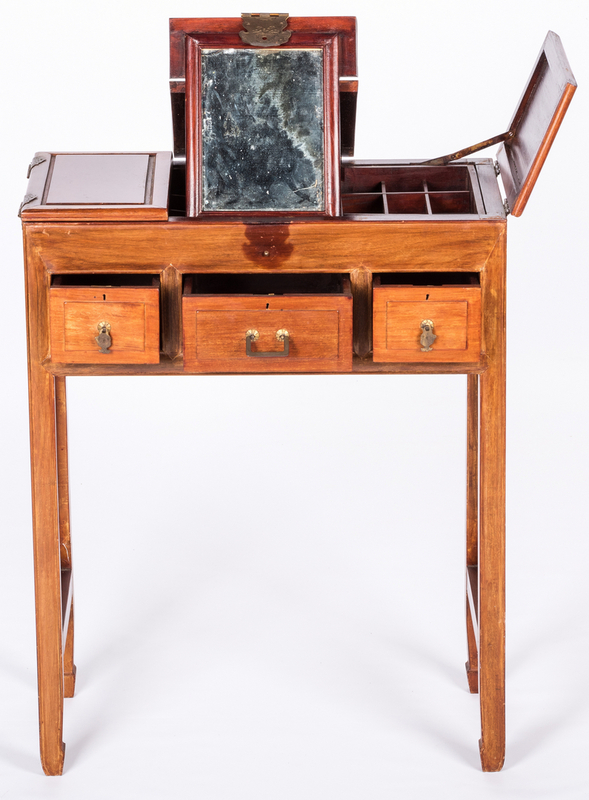 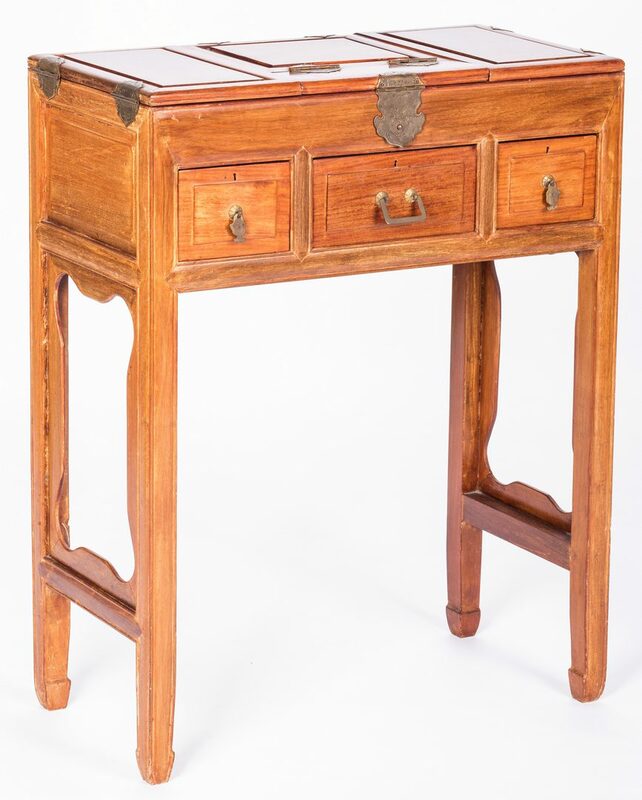 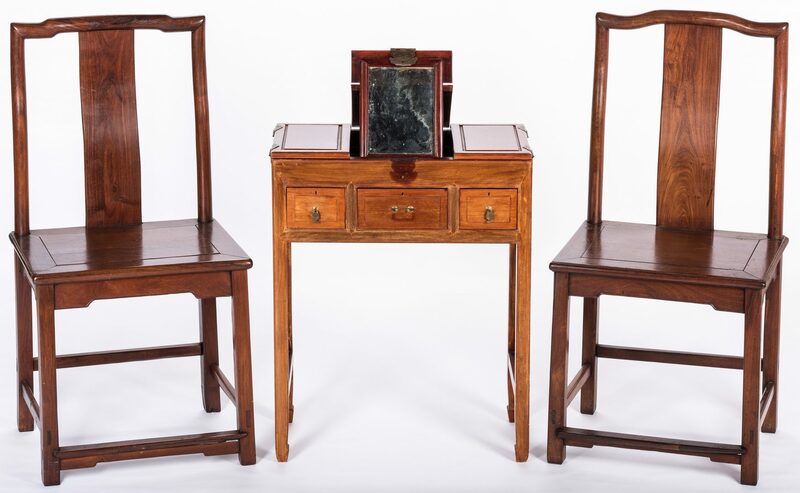 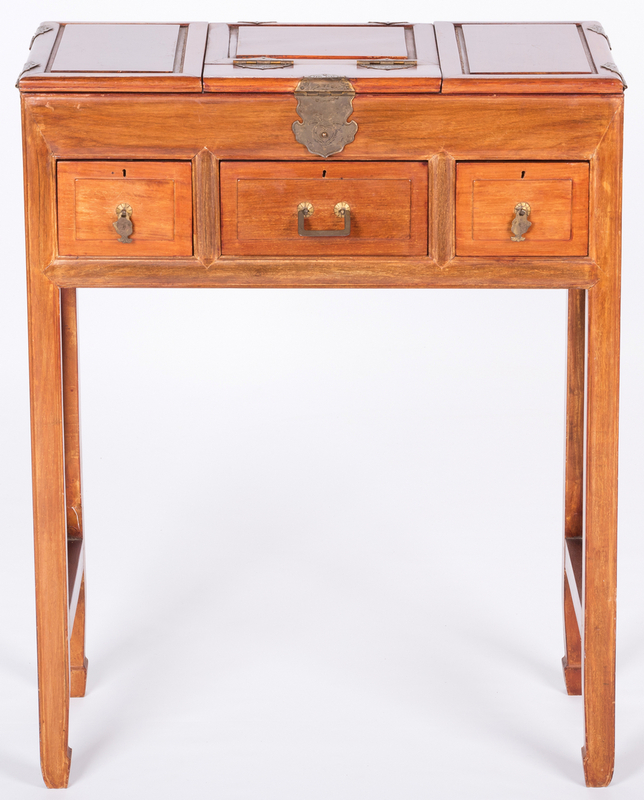 1st item: Chinese hardwood vanity or dressing table. 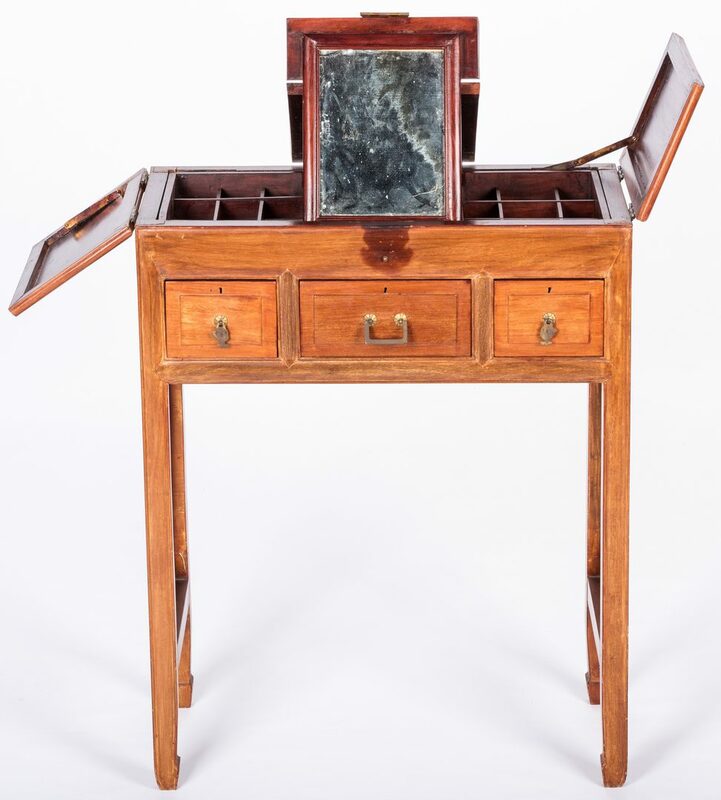 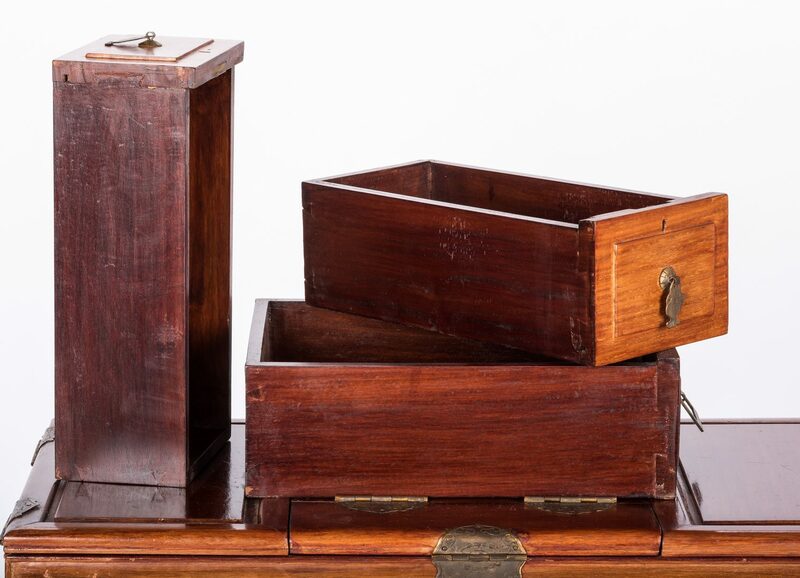 Top with a central flip top mirror and two hinged panels, opening to reveal a fitted tray above three drawers, all on the straight tall legs joined by carved side stretchers. 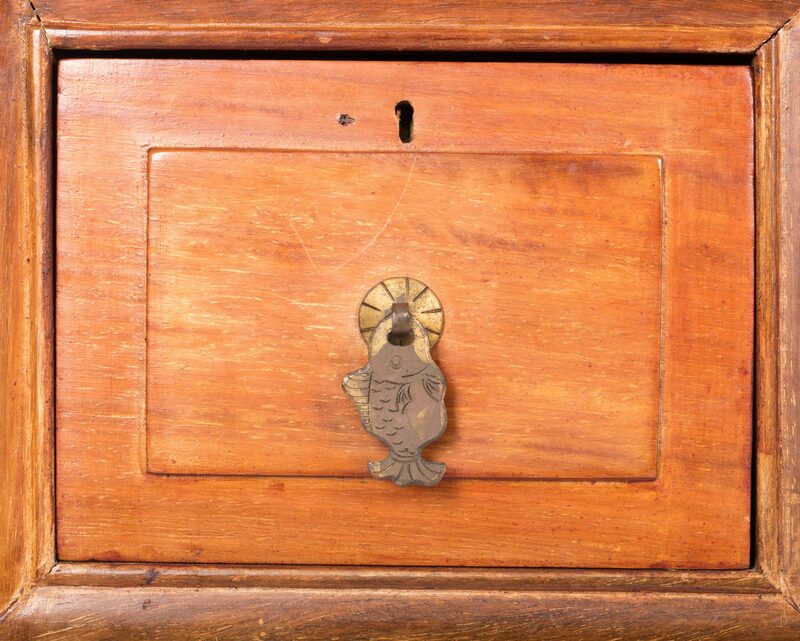 Etched brass hardware, including figural fish pulls. 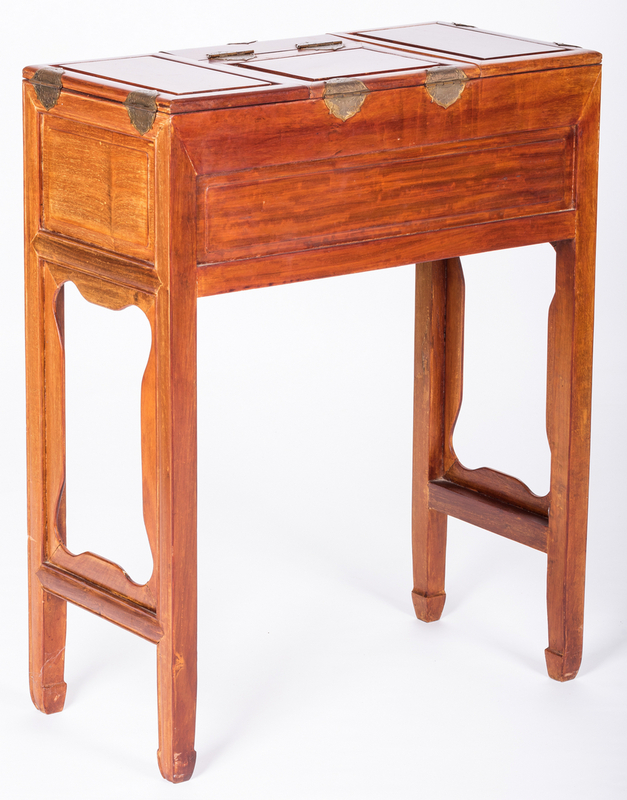 30 1/2" H x 24" W x 12" D. Late 19th century. 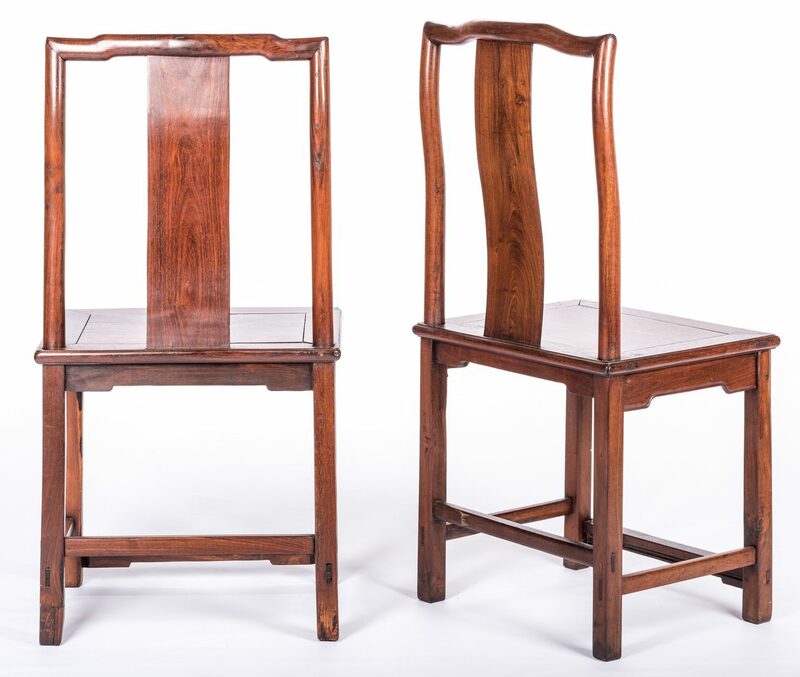 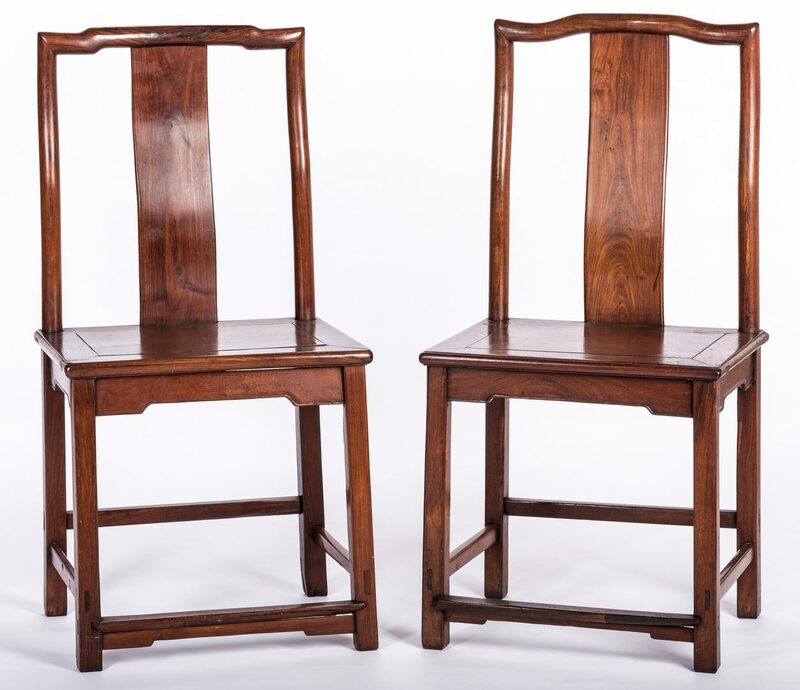 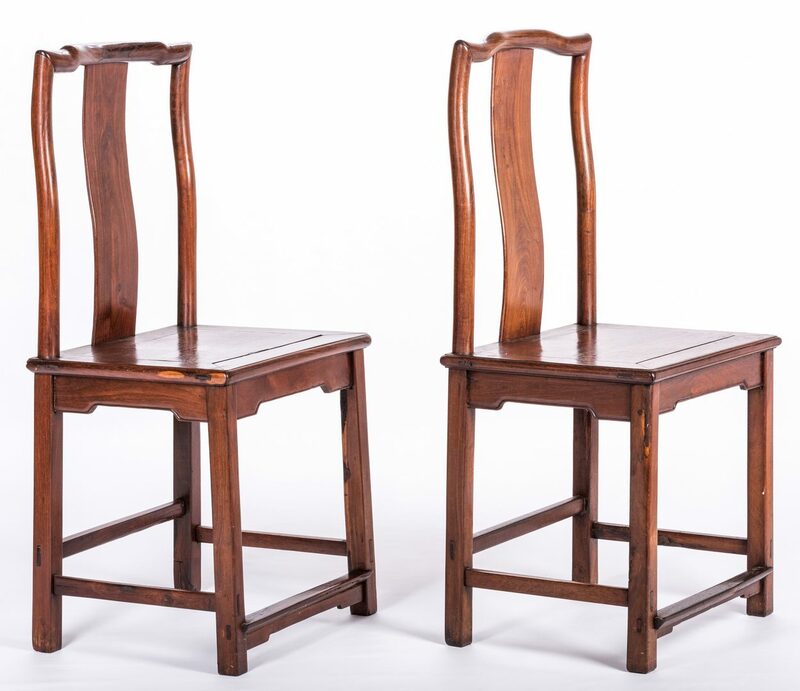 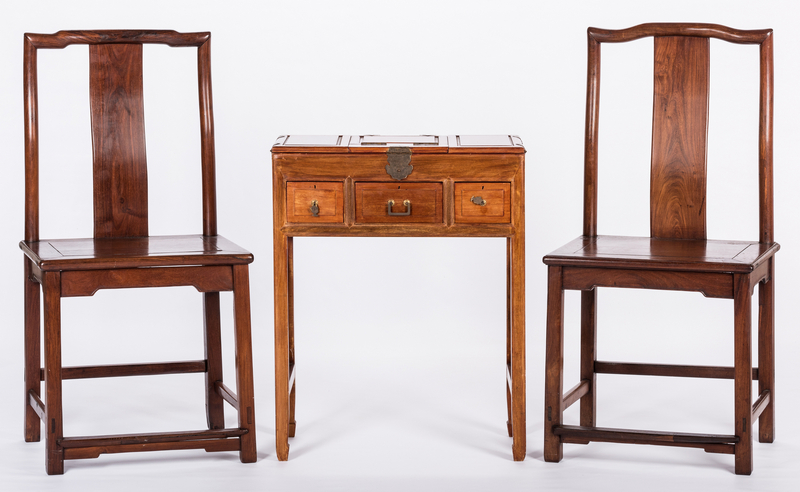 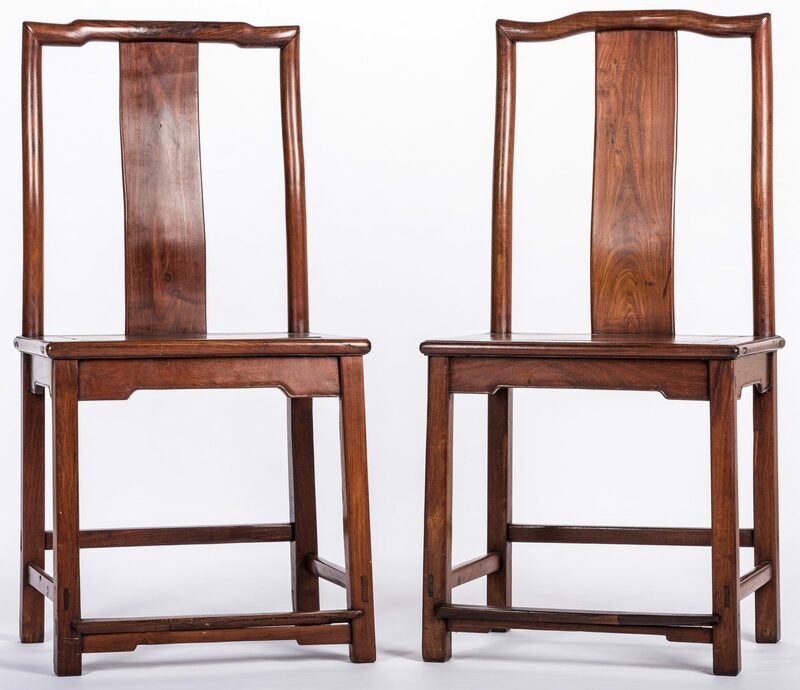 2nd-3rd items: Pair of Chinese hardwood side chairs having shaped crests with smooth curved splats, square seats with carved skirts, and straight legs joined by stretchers. 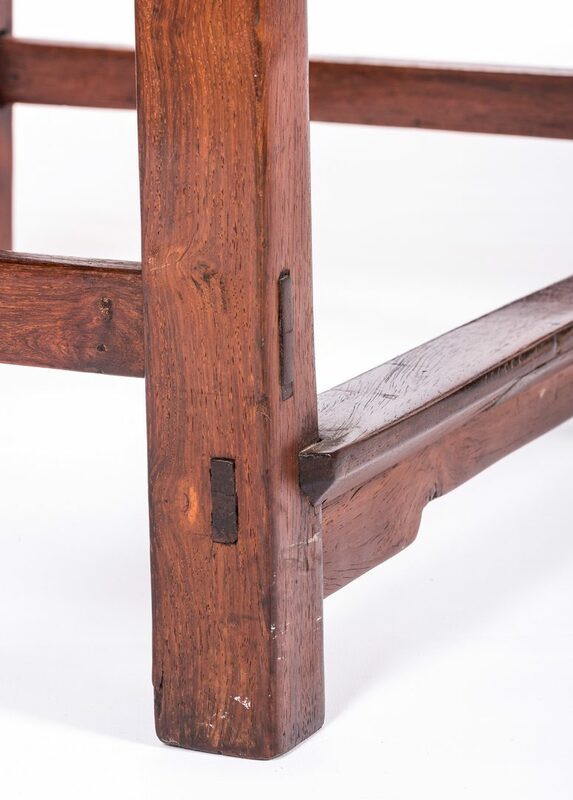 Pegged and mortise and tenon construction throughout. 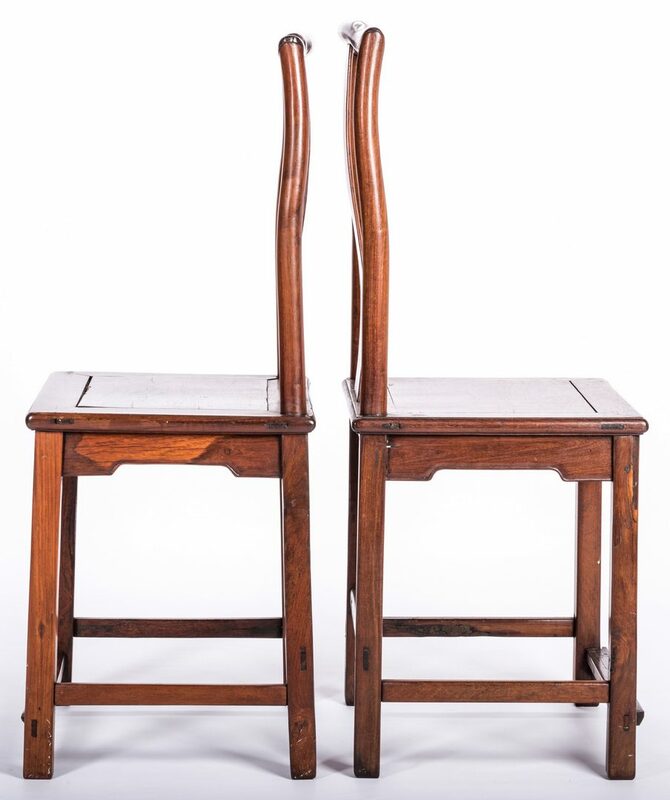 41" H x 20 3/8" W x 15 3/4" D. Late 19th century/early 20th century. CONDITION: 1st item: Overall general wear to surface. 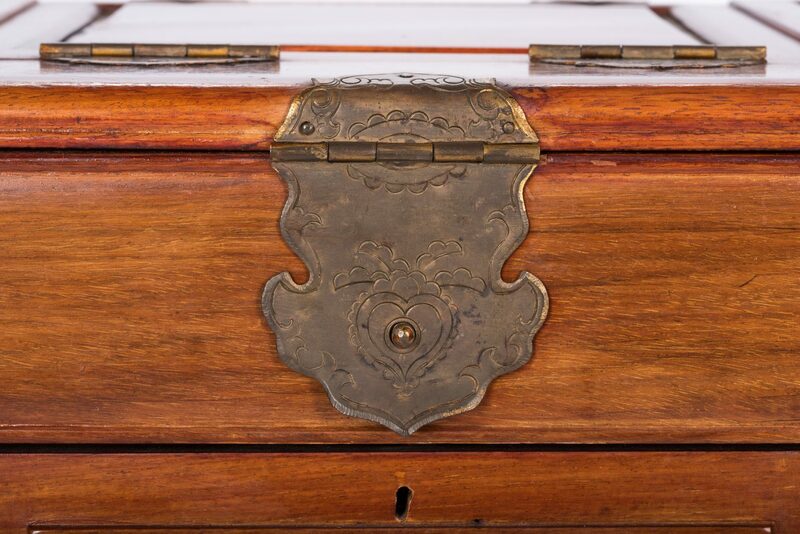 Hinge on left top panel not present. Some silvering to mirror. 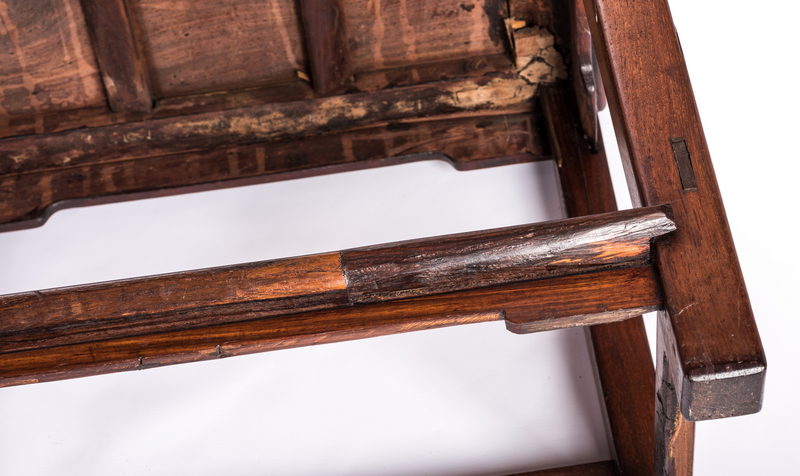 2nd-3rd items: Some minor general expected wear. 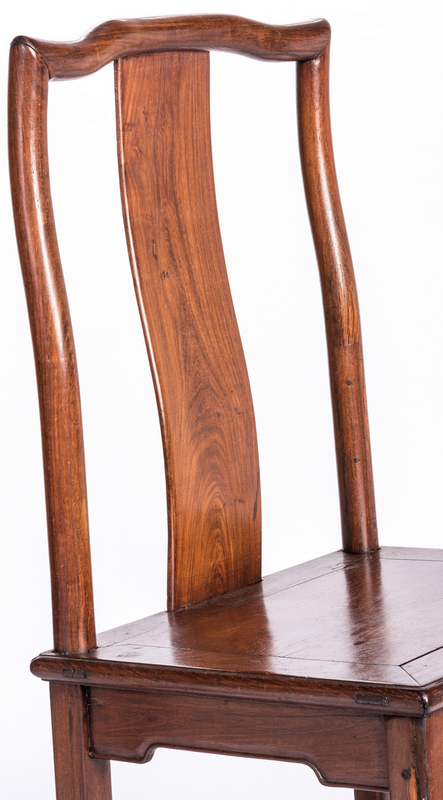 Some natural wood shrinkage noted to both.